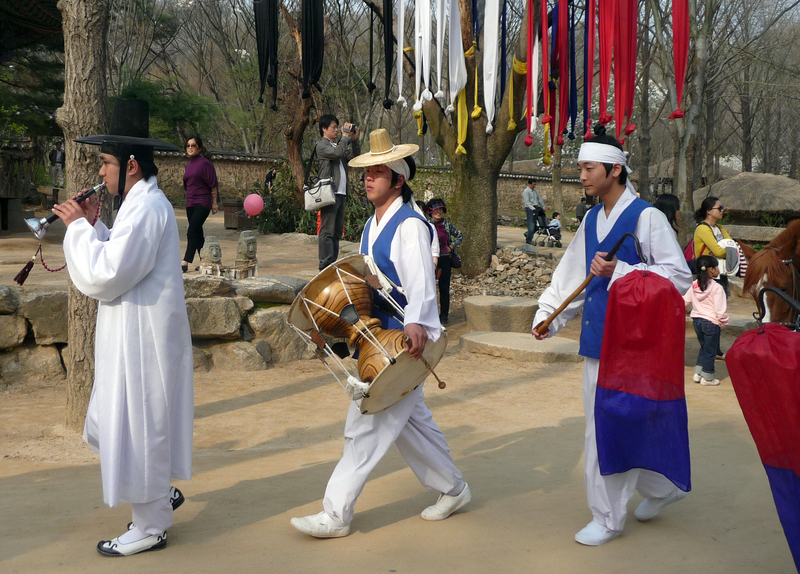 Suwon’s Korean Folk Village is a great place to spend a day. Break out your walking shoes and give it a try! 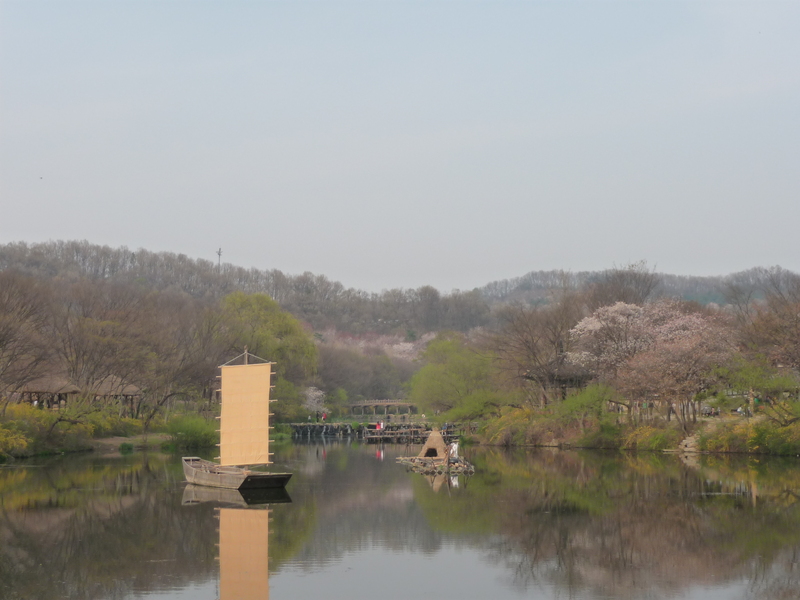 Suwon’s Folk Village is a really interesting. 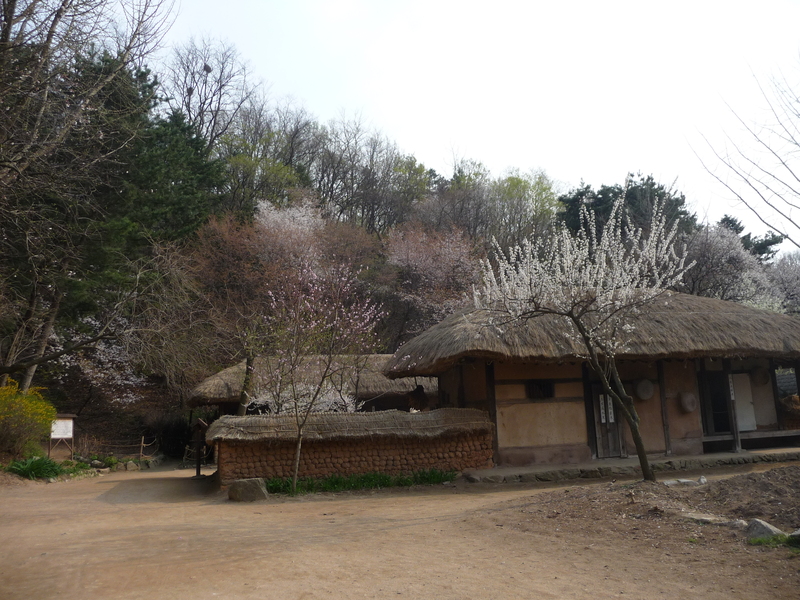 It’s a re-creation of a historic Korean Village. There aren’t any original historic villages in Korea, because most of their historic buildings were destroyed during WWII and the Korean War. But this re-creation looks really authentic and it was really neat to tour. These are the prayers people have left. I have always had the impression that in America we don’t think much about history. I guess this has a lot to do with the fact that we really don’t have much in the way of history to think about. Our country is younger than the Korean written language (Han Gul) which revolutionized writing in this part of the world in the mid-fifteenth century. The history we do have is sordid, and we try to forget it and pretend slavery and the extermination of the native people happened long ago and should be respectfully swept under the rug where no one can see it. 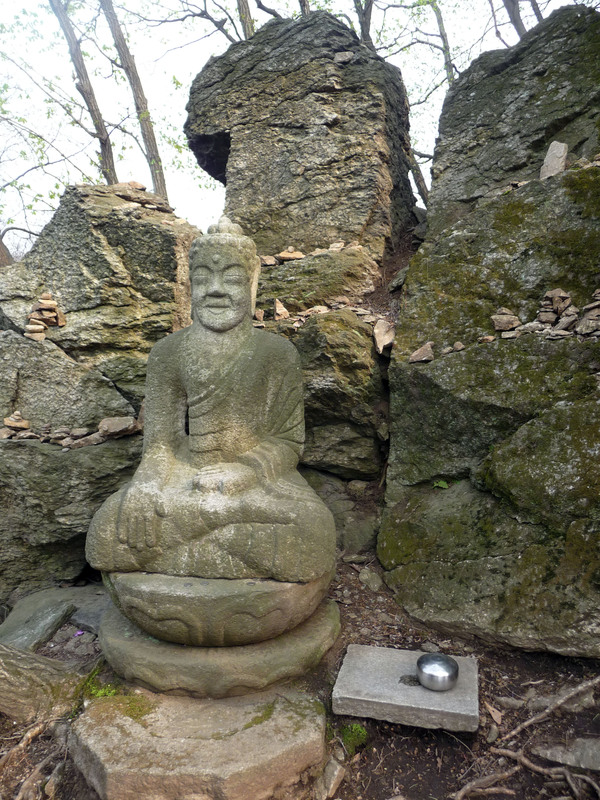 From the perspective of an American, Korea has an amazing history. It’s thousands of years of mostly peaceful and spiritual lives farming the land. 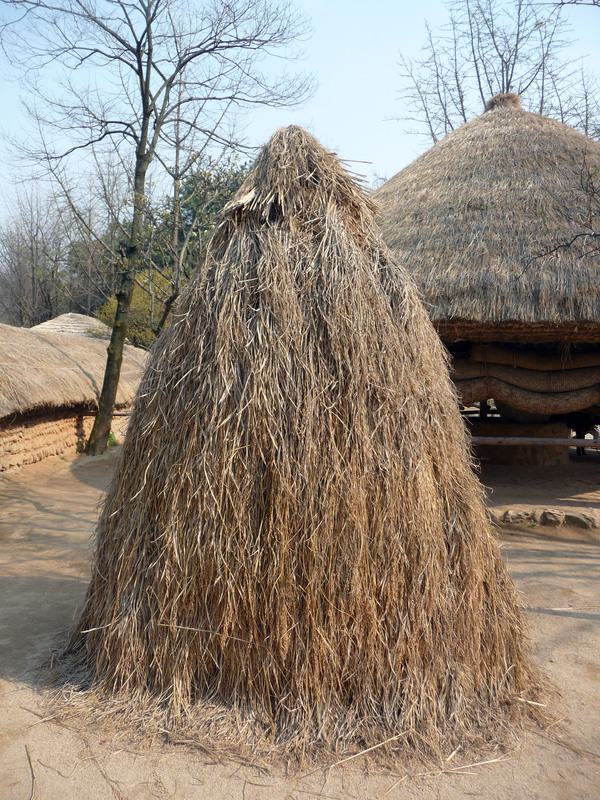 The Korean Folk Village in Suwon demonstrates this history very well with old farm equipment, re-creations of ancient houses, and even rows of traditional crops. Don’t get the impression that the Folk Village is like a museum. There is a lot going on. From traditional wedding ceremonies to tightrope walkers, there is plenty to see in the way of entertainment. 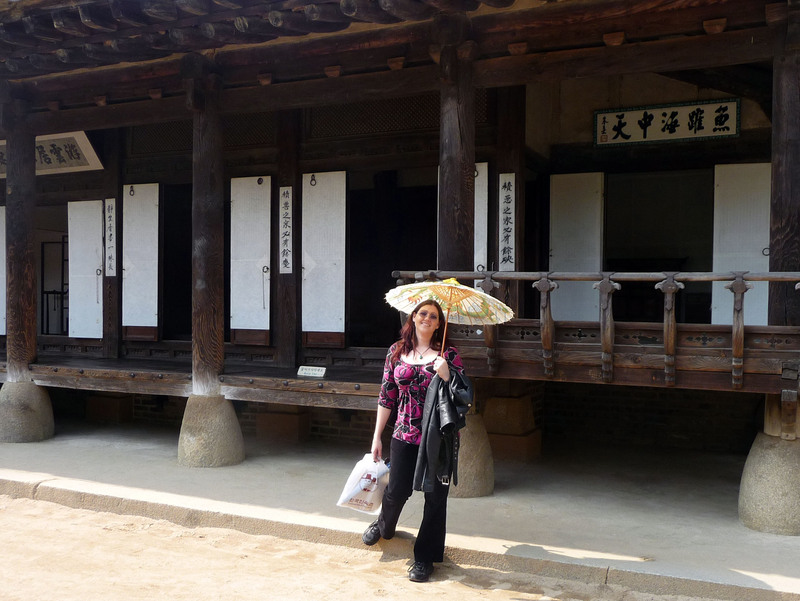 And the more I learn about Korea and its people, the more impressed I am with their heritage. It makes me feel like a punk kid sometimes coming from such a young and vain country. 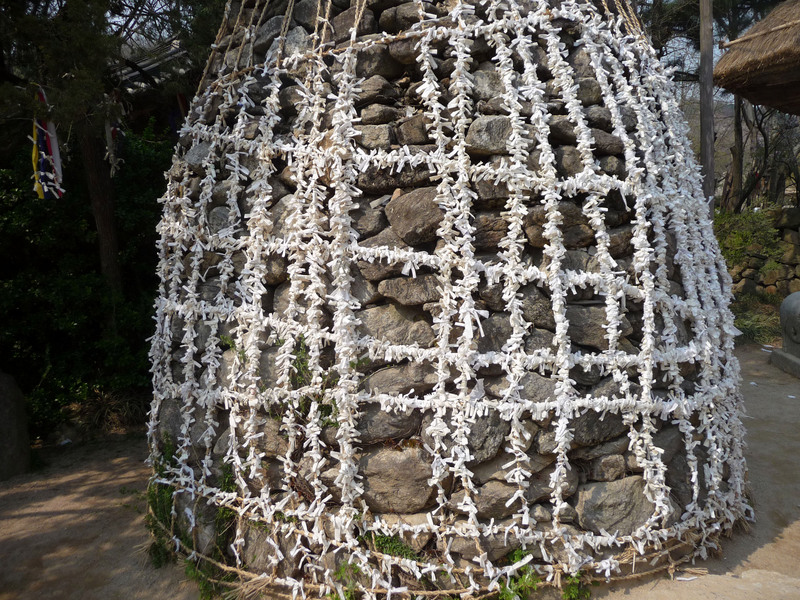 Meanwhile thousands of years of the Korean’s ancestors’ bones are buried here. It really makes you think. I was thrilled with the parade of people playing traditional Korean instruments because I bought my grandmother a Korean drum, and she wanted a picture of someone playing it. So now I have one to show her. Just a haystack. But it made me smile. How often do you see a haystack just chillin' like this? I admit, Korea isn’t anything like this anymore. Its one MacDonalds after another, and girls running around with Gucci handbags. But seeing it for what it used to be makes you appreciate the perspective these people have on life, (even if they are currently importing a mass amount of our worst culture here.) 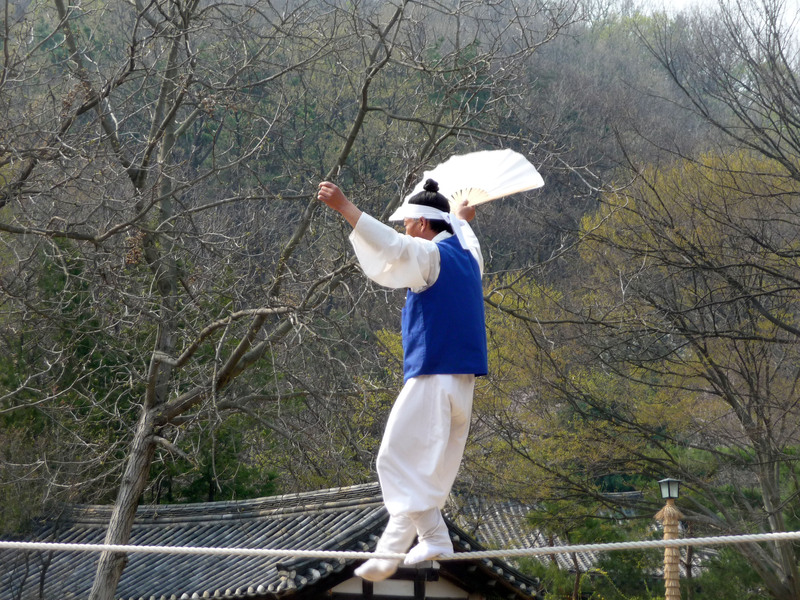 Americans may have cornered the market on being an upstart country with fresh ideas and dreams too big for reality; but Koreans blend our culture with something we know nothing about: Moderation. And when you mix it with such a novel and un-American concept, it’s really not so bad. 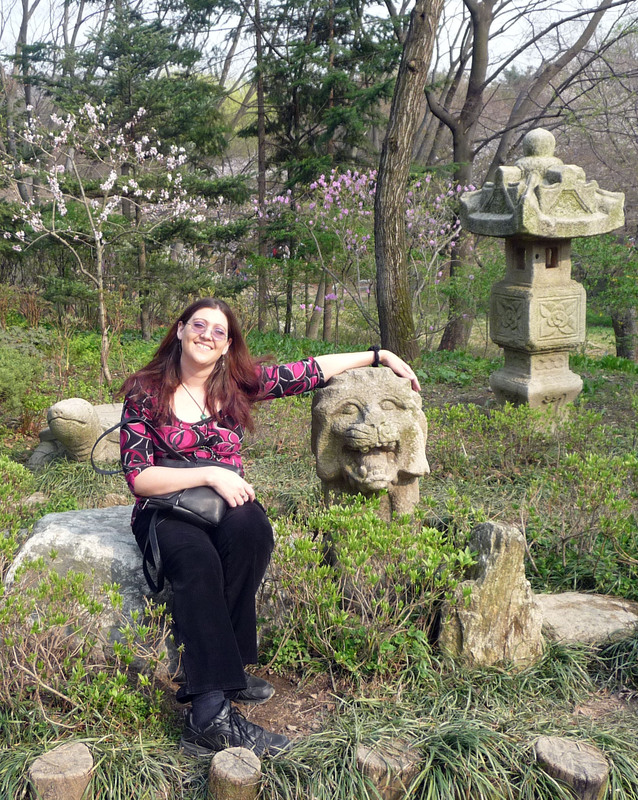 Me and a stone lion in a quiet little garden area. I particularly like Buddha. I mean, nearly everyone here is a Christian now… but Buddha’s ideas live on in their society even as they convert en mass. We could stand to import some of those ideas ourselves, and it wouldn’t hurt us to get some historical perspective either.